Fielding MD, JC Chiu, RJ Hogan, and G Feingold. 2013. "3D cloud reconstructions: Evaluation of scanning radar scan strategy with a view to surface shortwave radiation closure." 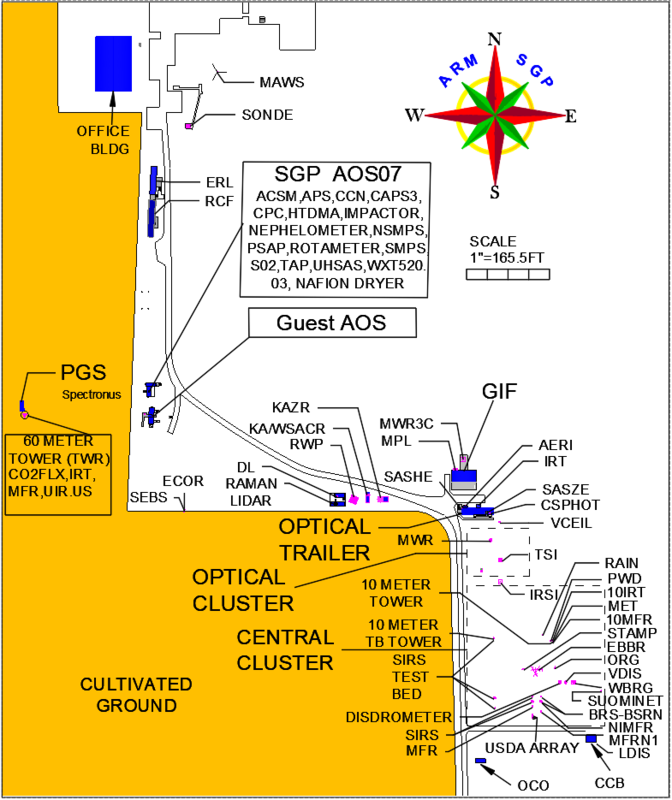 Journal of Geophysical Research: Atmospheres, 118(16), 10.1002/jgrd.50614. Look up at the sky on a summer’s afternoon, and chances are you will see cumulus clouds bubbling up, feeding off heat and moisture rising up from the ground. You’ll also probably notice that being directly underneath these clouds either brings temporary respite from the sun’s rays or, if you live in the UK, leaves you running to find your nearest jumper. One thing’s for sure, boundary-layer clouds (in the first few kilometers of our atmosphere) have a significant impact on our climate, and understanding their intricacies is vital for creating global circulation models that represent them well. To progress our knowledge, making new observations is often just as important as making new models, and with that in mind, using funding from the 2009 Recovery Act, ARM purchased a set of scanning radars at various wavelengths for both cloud and precipitation. These state-of-the-art instruments can now be found at most ARM observation sites and, in particular, offer the opportunity to actively scan boundary-layer clouds in 3D. Using large-eddy simulations (LES) of shallow cumulus combined with a radar simulator, researchers at the University of Reading tested a range of scanning strategies with a view to aiding field experiment design and creating 3D cloud retrievals that can be used to test modelled radiation against measurements of surface spectral irradiance (from another new ARM instrument). Despite the radar being a highly sensitive instrument, detecting tiny cloud droplets is hindered by the fast rotation rate required to capture the whole sky. The researchers have found that scanning perpendicular to the wind and waiting for the clouds to advect towards the radar (CWRHI scan) minimizes the distance and therefore maximizes the sensitivity of the radar to these thin clouds. While this provides an elegant, minimalist solution, it suffers from the same shortcomings of vertically pointing radar$mdash;the statistical representation of the clouds in the sky is poor if the wind speed is low. For such situations, and to capture cloud evolution, the PPI scan (Fig 1) was found to perform best as it can be optimised to scan at low elevations. Scanning cloud radar alone cannot directly infer the droplet size distributions inside clouds, but when used in synergy with other ARM instruments, such as scanning lidar, it is hoped 3D cloud retrievals can be made that will give climate modellers the observational data sets they need to reduce the uncertainty in climate projections and help unlock any secrets that clouds may still be hiding. Illustration of 3D cloud reconstruction from a set of PPI scans. The top left figure shows a cloud reconstruction generated assuming an infinitely sensitive radar. Comparing this to the top right figure gives the reduction of cloud detected by a radar with realistic sensitivity. The bottom plots show the effect of the reconstructions on surface irradiance compared with the truth—the realistic radar reconstruction clouds’ albedo is reduced by 40%.